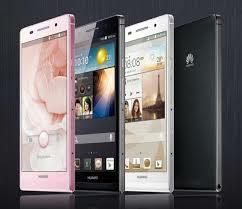 Etisalat is offering you the opportunity to be among the first people in the UAE to own the new Huawei Ascend P6… Exclusive from Etisalat! Redefine elegance with the new Huawei Ascend P6 from Etisalat. The slimmest smartphone in the world comes complete with an unbelievable 6.18 millimeters thin and brilliant 4.7” screen – the true perfection of elegance and style. The Huawei Ascend P6 premium styling and various sophisticated features help you capture all the little things in life with ease and with all the extraordinary details anywhere, anytime. You also get to enjoy the next generation services like all your favorite apps social streams.